Stafford, recognised as having the Best Floral displays in the British Isles, 2002, and regionally renowned as a bed of floral splendour, has visitors coming from all over the British Isles to visit Staffordshire’s County Town. The stunning annual displays from May to Oct draw visitors back time and again, with Stone and Eccleshall now gaining a firm reputation for displays of stunning floral beauty as well. Glorious parks, tranquil canal side walks and busy shopping thoroughfares are waiting for you to discover a fantastic floral feast! The surrounding Countryside has stunning natural beauty, tranquil canal-side walks and leafy parks and historic gardens just waiting to be explored. Visit the nearby Towns and villages where you can browse among specialist shops, dine out in a chic bistro or find food for thought in an art gallery. Birthday Specials are covered by Stafford Hire. Booking a Stafford Pink Hummer Limousine is very simple just call 0845 055 0740. The new Black Navigator Limo is now taking booking for 2008. Fancy a Pink Limo in Stafford. Book a new Pink Hummer Limousine. Stafford Castle, Newport Rd, Staffordshire ST16 1DJ - The Stafford castle has been errected for over 900 years of history. The castle is set 26 arces of land. The public can visit the grounds and experince a piece of histroy. Once iside the grounds you will be directed to the vistors centre, where you can view armour, normans weapons and costumes from 900 years ago. You will also get a chance at coin minting and bras rubbing. Onsite there is also a vistors centre where you can buy gifts, souverniors, traditional toys, hot food and cold and much more. Great day for the whole family wanting to learn some history about stafford. You can also visit the famous herb gardens, and what the herb was used for 900 years ago. Alton Towers - UK's best family theme park, everything you need is under one roof. Alton towers is a great place to visit and stay. Why not make a weekend at the famous Alton Towers Theme Park, Alton, Staffordshire ST10 4DB. With over hundreds of attractions at the park you really will be spoilt for choice, theme park rides for all ages, from the big bug ride to the roller coaster ride, Alton has rides to suit all ages. Why not bring your swimming costumes and experience fun at water world. Restaurant and bars located through out the park you really are in for a good time. After a hard day of fun, why not relax at Alton towers hotel, were rooms start from £55 with breakfast, wake up early and be the first people to ride the roller coaster in style. Monkey Forest, Trentham Estate, Stone Road, Trentham, Staffordshire ST4 8AY - is located in staffordshire, set in unique forest you really are in for a treat. Bring the whole family and walk down the path laid out for you. On your journey you will come across monkeys living in the forest. This place is great for kids and adults and is best way to see a monkey living in it's natural environment. Once you have visited the monkey, why not head towards the adventure playground, where the children can enjoy the rides and the parents just relax. Next stop would be the Banana cafe, with a fine selection of sandwiches, pastries, jacket potatoes. You and your family will have great time going back to nature. The Moat House, Lower Penkridge Road, Acton Trussell, Staffordshire, ST17 0RJ - is based in Staffordshire, the luxury accommodation is over looking the canal. The beautiful Victorian building is a great place for all to stay and relax. The restaurant serves the finest cuisine prepared by the professional chef only using the finest ingredients. This venue is also ideal for weddings events, so why not hire the venue and have the wedding of your dreams. You also have the option of hiring a limousine for this special ocassion. Limo hire in Stafford will provide a ribbons and bows for your limousine. The professional chauffeur will be ready to take you to the church in style. All our limousine are polished to a high standard and very suitable for all wedding occasions. 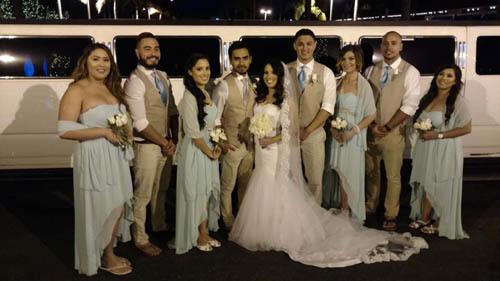 Please do call lux limo to get the best wedding limousine deal for your wedding package. Stafford Cheap Limo Hire - Get the cheapest deals around on limousine hire in Stafford and rolls royce phantom. Stafford Shopping Limo Hire - Shop till you drop in a hummer limo or bentley flying spur. Stafford Royal Ascot Limo Hire - Take the ladies to royal ascot in style in the pink hummer or bentley car hire. Stafford Night Club Limo Hire - Let the party begin in the all new party bus limo. Stafford Hen Night Limo Hire - Go from bar to bar on your hen night. Stafford Anniversary Limo Hire - Celebrate with the fully loaded Chrysler limo or rolls royce phantom. Stafford 24 Hour Limo Hire - Call us when ever you need us for car hire. Stafford School Prom Limo Hire - Cruise the streets of Stafford before your school prom in the bentley car hire. Stafford Pink Limo Hire - Hire the pink limo for any special occasion. Stafford Lads Night Out Limo Hire - Party with the lads in a hummer limo. Stafford Graduation Limo Hire - Graduate in style in the Black Hummer Limo. 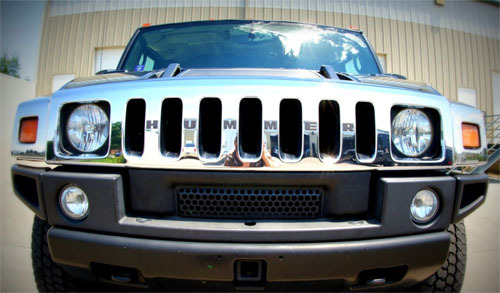 We have the best Limos in Stafford from Limo Bus, Rolls Royce Phantom to Hummer.